Despite its centrality to church life, worship is too often taken for granted as something a congregation experiences rather than collectively creates. 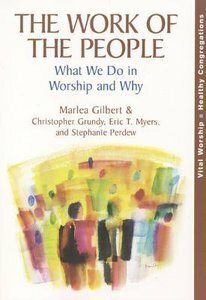 This book simply and clearly explains the structure of worship, the actions and words we use in liturgy, the environment in which it all happens--in other words, what we are doing and why. It will guide congregations in worshiping in a way that encourages participants' spiritual growth, welcomes new participants into faith, and sends people out as the body of Christ to transform the world.